Putz N Glo offers a great Deal! Shining a new light on a timeless classic. 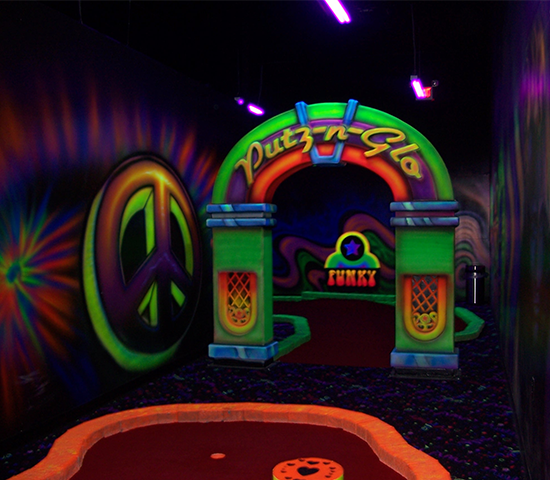 Putz n Glo is a one-of-a-kind Black Hills family attraction. 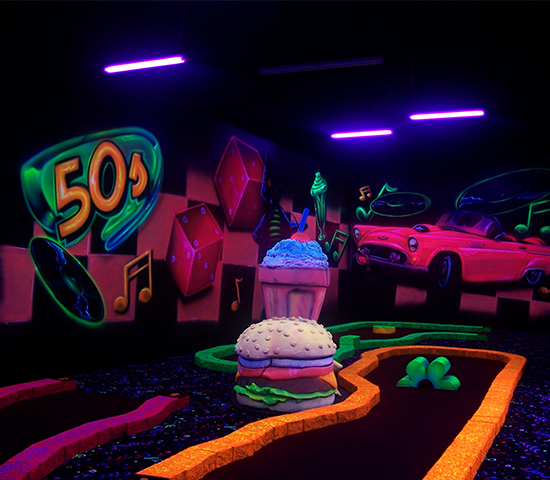 Putz N Glo puts your putting skills to the test with the effects of Black Light in a fun-filled, Rock and Roll themed course. Cannot be combined with other offers, Non-Refundable, One per use/group. Shining a new light on a timeless classic. Putz n Glo,is a one-of-a-kind Black Hills family attraction. 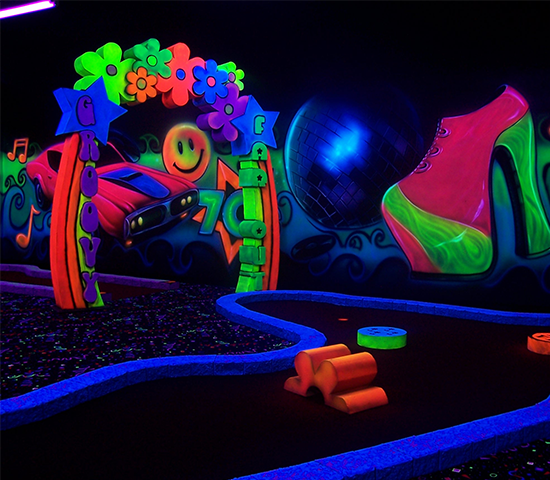 Putz N Glo puts your putting skills to the test with the effects of Black Light in a fun-filled, Rock and Roll themed course.